ScanMaker i800 plus(LED) which is designed for corporate, SOHO mostly and Home users. i800 plus offers best-of-class digital imaging quality such as 48-bit color, 9600x4800dpi optical resolution, and USB2,0 connectivity, a 8"x12" transparency adapter, 4 versatile EZ-LockTM holders for 35mm slides, 35mm filmstrips, 4"x5", and 120 film up to 6x17cm panoramic. 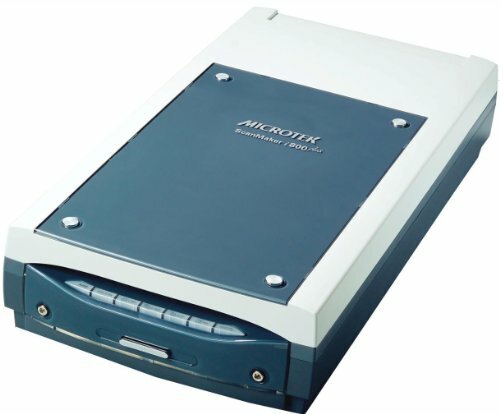 This Dual-Media reflective and multi-format film scanner also integrated ColoRescue Technology which automatically maps, identifies, and eliminates surface defects on photos and film, and restores faded film and photos.